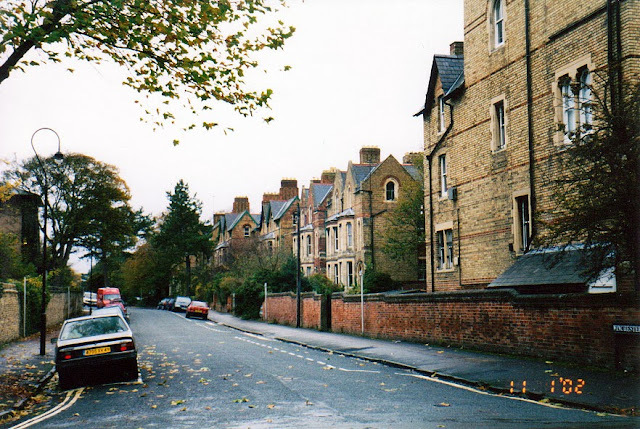 Since I told you about my trip to Cambridge last week, I thought I would tell you about my visit to Oxford this time. 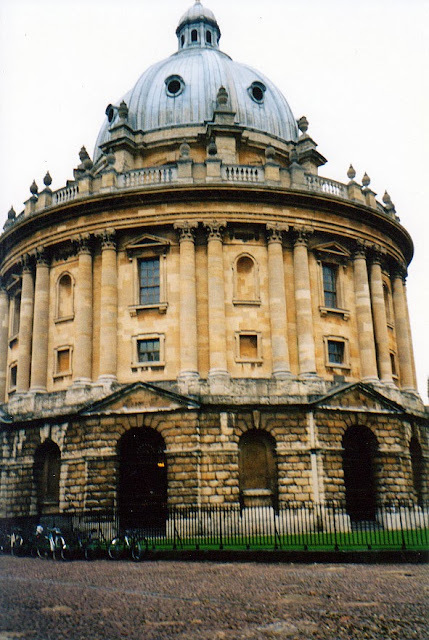 Oxford University, like Cambridge, is actually a confederation of colleges. However, I didn't explore the colleges when I was there. It was pouring down rain, so we decided to just walk around and explore. I really enjoyed just walking along the streets, experiencing the city and taking in its architecture. It's something Alan and I do now when we go somewhere new (well, before we had kids we did!). Oxford is easy to do as a day trip from London and I prefer it that way. When I left Cambridge, I felt like there was still more that I wanted to see and do, but when I left Oxford I felt fulfilled. So, which is my favorite, Oxford or Cambridge? I like each city for various reasons, but I would have t o say Cambridge. While Oxford is a really cool place, it just doesn't hold that mystique for me that Cambridge does. I am such an Anglophile. If I could move there, I would in a heartbeat!